This week, we got to ride a prime example of the CR250R two-stroke that Honda should have built. Most people considered the 2002 Honda CR250R two-stroke a step backwards. That was the year that Honda completely redesigned the bike with a new electric power valve. At the time, we figured that the sleepy powerband and slow-motion throttle response were just some first-year bugs to be worked out. Maybe they were, but instead of dealing with it, Honda made the decision to abandon two-strokes altogether. It didn’t happen right away, but it did happen, and the Honda 250 was unchanged in its final years. This is clearly a case where the aftermarket answered the call. The Honda wasn’t that hard to fix. The chassis and suspension were already pretty good, and several engine builders eventually figured out the solution in the power department. This off-road project is the result of at least 15 years of development. Veteran bike builder Jay Clark was the foreman of the project, which started off as a 2004 model. It has already been featured on Dirt Bike’s Two-Stroke Tuesday You can read more about the various parts that went into the build by clicking the link, but this week is the first time we actually swung a leg over the bike. The motor rebuild used parts from a Wrench Rabbit kit, which includes a new Crankworks crankshaft and a Vertex piston. What really set this motor apart was the cylinder and head work from Tom Morgan. Kyle Redmond rode the bike and was amazed at how good it was. He already had experience with the Honda CR250R. He rode his dad’s when he raced Red Bull Last Man Standing in 2006. This bike was a big improvement over that one. Kyle is who he is, which is plain from the video clip above. The bike wasn’t set up for his style of riding, but it was amazingly good at it. He was also impressed with the bike’s suspension, which was set up for GP racing by Factory Spec Suspension, an Australian company. 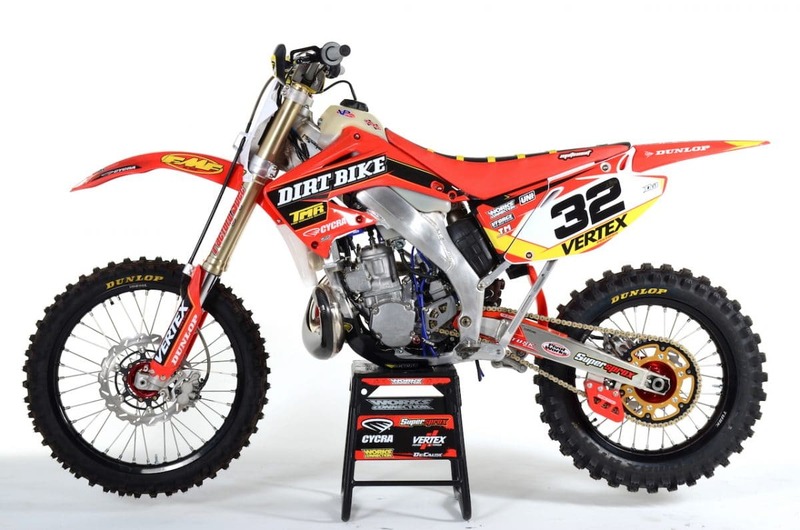 To read more about the history of the Honda CR250R, click here. We just got word that BMW will have its U.S. introduction for the new F850GS at the end of October. We’ve been waiting for this bike for some time. It was first shown a year ago, and since then, it’s been in several European markets. 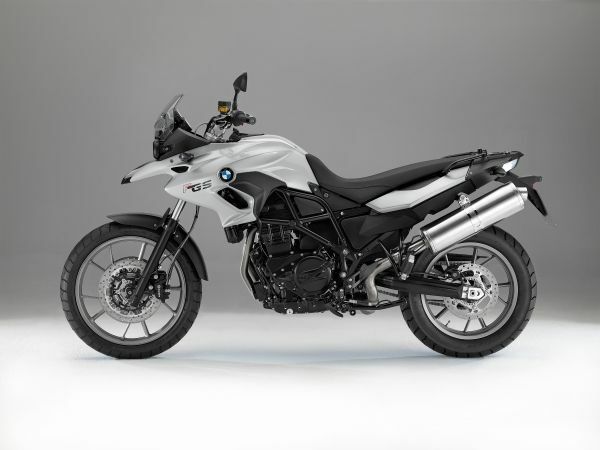 The bike will replace the current F800GS, pictured below. The 800 had an Asian motor that’s been in service for some time, and was easily outperformed by the Triumph Tiger 800. The Adventure model hasn’t been announced yet, but if BMW follows its usual pattern, this will be an upscale version with longer suspension travel and more dirt capability. 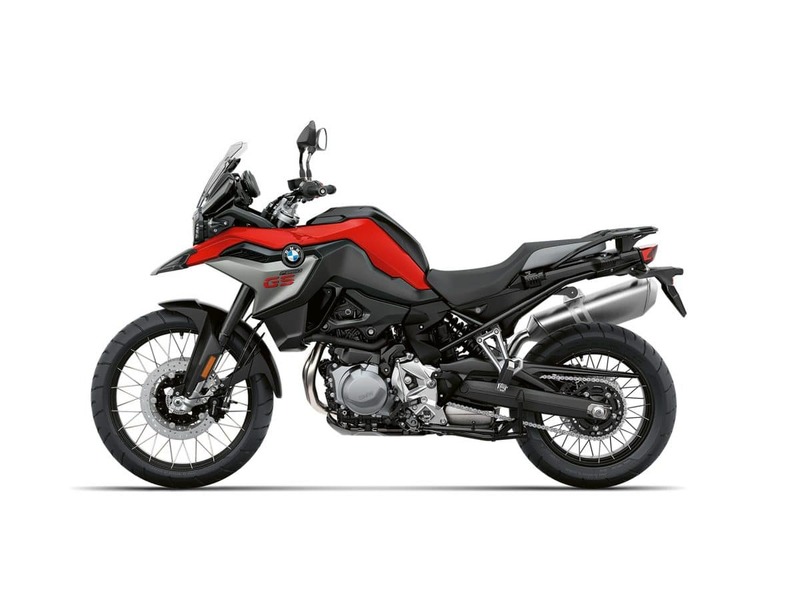 This is the previous F800GS, showing just how different the new 850 is. 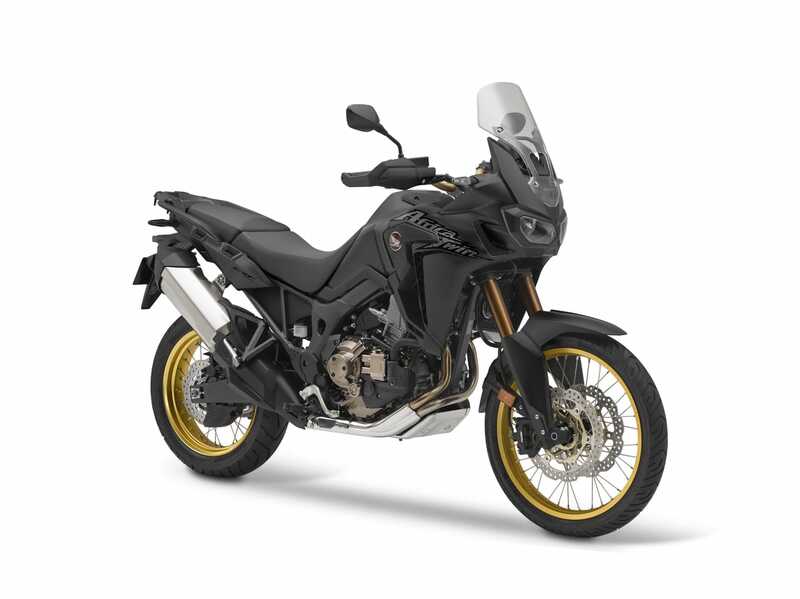 Honda also announced the 2019 Africa Twin and Africa Twin Adventure Sports this week. These are unchanged from 2018, which saw the mid-year release of the Adventure Sports model. The prices will be $13,599 and $15,099, up $100 from the past year. The DCT transmission will cost another $800. This week also saw the release of Suzuki’s 2019 V-Strom 650 and 1000. Click here for info on the Suzuki V-Stroms. 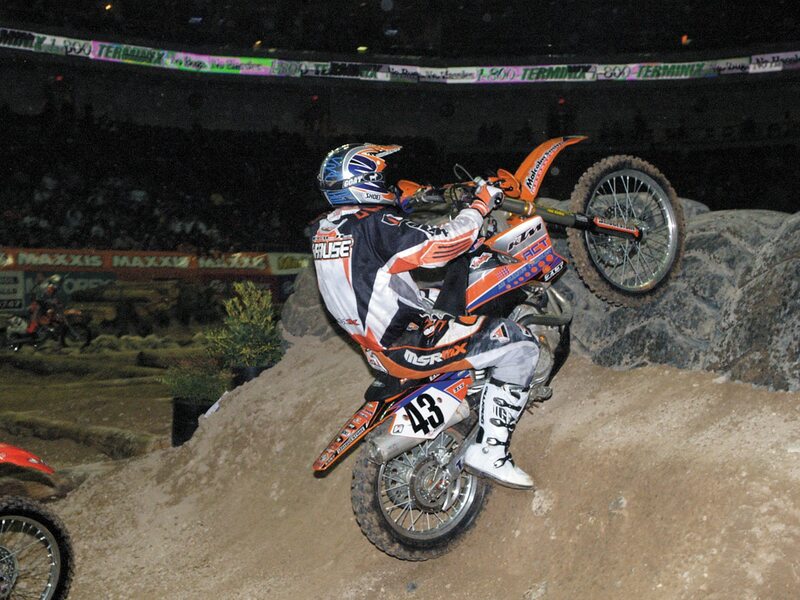 Ryan Hughes was the winner of the first EnduroCross in the U.S. I ran across these photos in this week’s random hard-drive search. They’re from the first EnduroCross in 2004, shot on a state of the art Olympus E1 digital camera. 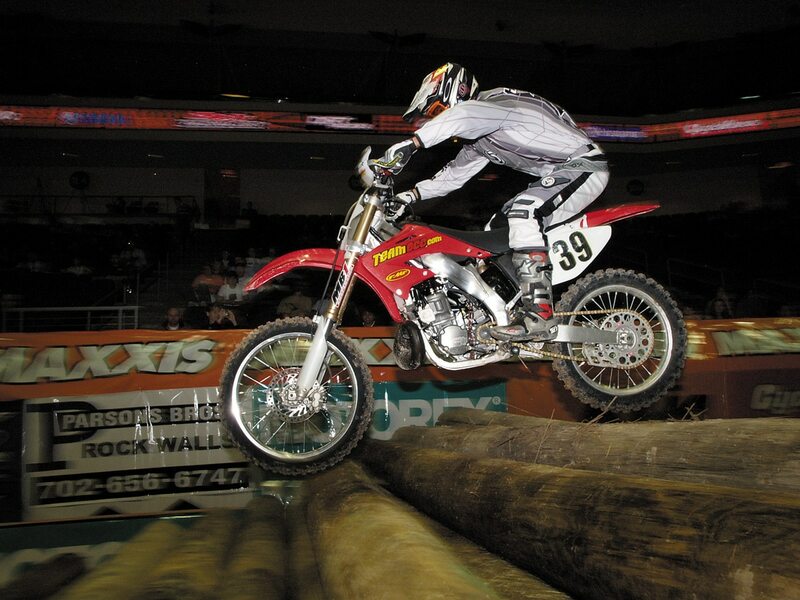 The first EnduroCross was held at the Orleans Casino before a somewhat quizzical Vegas crowd. Most had no idea what it was, but bought a ticket out of curiosity. Most of the riders had no idea what an EnduroCross was, either. It was the product of Eric Peronnard, who had been involved with the promotion of the Bercy Supercross in Paris for years. That first year, a number of European riders showed up to show the American off-road riders how it was done. 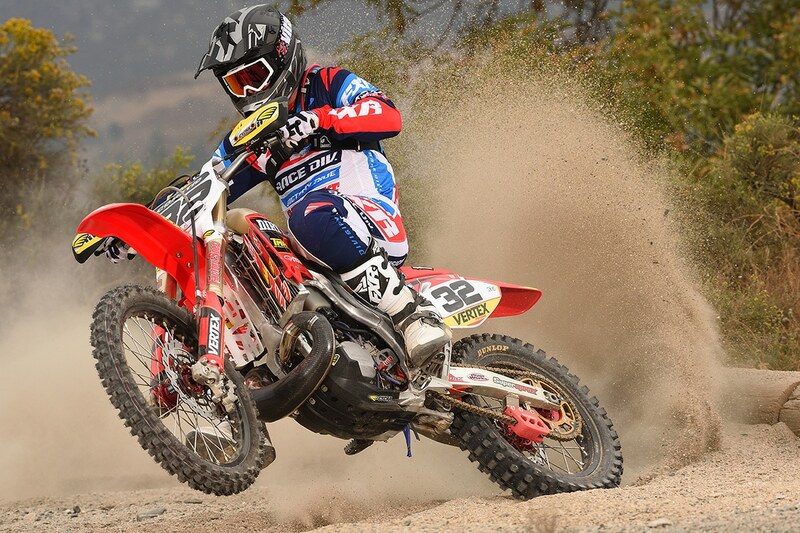 In the end, it was Ryan Hughes, who showed everyone a thing or two on a Honda CR250R two-stroke. Ryan had started that year on the Red Bull KTM factory motocross team and found himself jobless, looking for something new. EnduroCross was clearly something new. That success led to a two-season stint as a Suzuki Factory off-road rider, although he would never again win an EnduroCross. 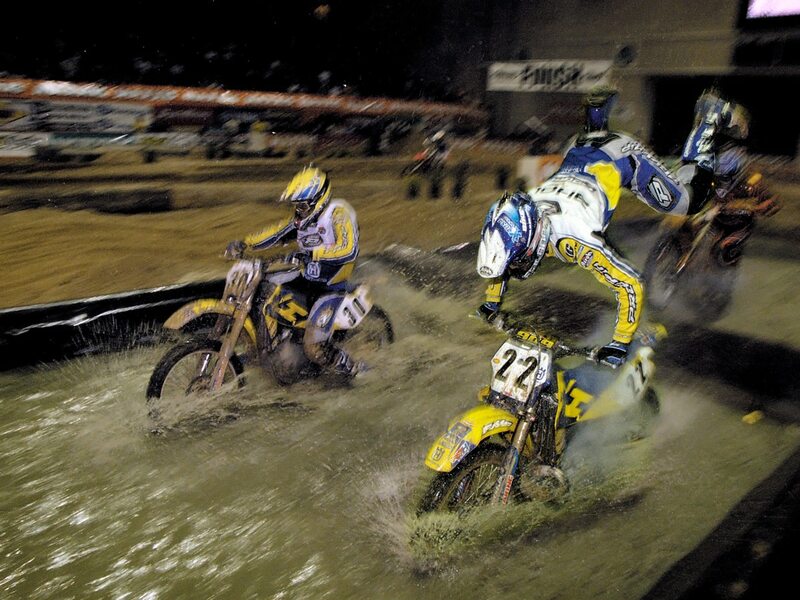 EnduroCross reached AMA championship status within a few years, and would be part of the X-Games in 2011 and 2012. Today, it’s a full series that visits six cities, primarily in the west. Mika Ahola was one of the European riders who came over to show the Yanks how it’s done. He was an all-or-nothing rider in everything he did. Geoff Aaron was there for the start of EnduroCross, and he’s still there. Paul Krause was typical of the American riders who showed up in Vegas to give it a try. There’s a lot of stuff happening over the next few weeks. I’m currently at the Motocross of Nations, in Buchanan, Michigan. Click on the image above for info. 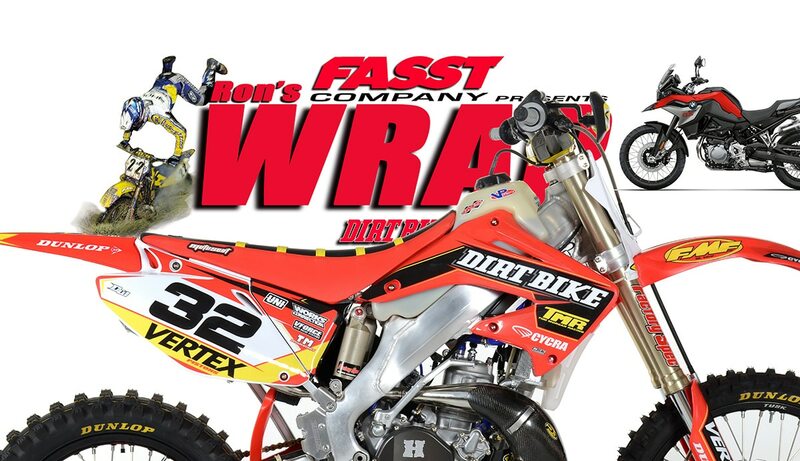 This weekend also has a WORCS race in Mesquite, Nevada and a Big 6 Race in Ridgecrest, California. In the northeast, there’s the Boyesen Buddy Boogie at Pagodamc.org. And next week is the Monster Cup. MX OF NATIONS QUALIFYING: U.S. STRUGGLES!